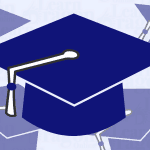 You are here: Home / Blog / Dragon Disaster Preparedness: where is your spare microphone? Recently a client contecte me, requiring urgent advice about a new microphone. What was the case? My client’s microphone didn’t work anymore. It was broken. For the past couple of days she had been typing. Now this is someone who needs the speech recognition software because of physical issues. Not having Dragon available due to a broken microphone, meant that she was in pain. Also, it was impossible for her to do her job with her normal efficiency. Unfortunately, at least for this situation, she works at a fairly big organisation, which means that you usually can’t just order a new microphone. 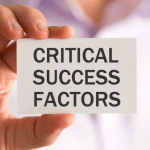 These organisations require that you follow procedure: the manager needs to be available to approve your request and the purchase department needs to create a purchase order. The order can then be placed with the proper purchasing number and sometimes the organisations have purchasing agreements/contracts in place. That means that you cannot even buy from a specialised speech recognition company. 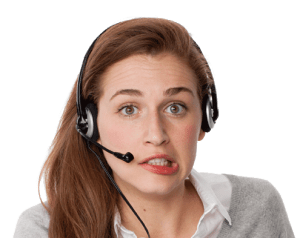 A simple headset from an office supply store will most probably not make you happy when you need to dictate your texts for a living. So you do want to make sure to get a quality mic which is suitable for Dragon NaturalySpeaking. But in larger organisations it really takes time if you need to go around the standard procedures. In the end, it took over two weeks for this client to get a new microphone. She is really happy with it now, but the entire thing could have gone so much easier. Especially for an organisation like my client’s, it is a no-brainer to make sure that spare microphones are available. That saves money in the end and it keeps the employees healthy. But even if you are self-employed or you use Dragon at home, you can save yourself money and frustration if you make sure that you do some Dragon Disaster Preparedness. Just make sure you have a spare microphone for when (not if, but when) your microphone breaks. As I am sat here dictating this blog post, I am using a microphone setup which has set me back almost $300. So if you say: “But Janneke, I can’t afford a spare microphone” I hear you! Even I do not have an extra set like the one I’m currently using to dictate. But I do still have the el cheapo microphone headset that came with an earlier version of Dragon. It’s not very good and it is not very comfortable. But in a pinch it will work. All right, I will be totally transparent… due to my profession as a speech recognition expert, I also got quite a few other speech recogntion microphones lying around. There isn’t much chance that I’ll be short of a replacement mic should my current setup stop working. But what about you? Do you also have an old headset microphone lying around somewhere? Chances are that it is not quite as accurate as your ‘proper’ Dragon microphone. However, if you are experiencing a Dragon Disaster, it may save the day. Find out if you still have a headset/microphone that you can put aside in your Dragon Disaster Preparedness Box. If you have a spare headset: test it by creating a new user profile and seeing if it works sufficiently well for you to full back on in case your current headset/microphone breaks. If you do not have spare headset yet: purchase a budget microphone that won’t break the bank. For example the Jabra Evolve 20 or the Andrea NC-181 VM. I’d advise you to purchase the USB versions of these microphones, as not all soundcards in computers are suitable for using with Dragon. 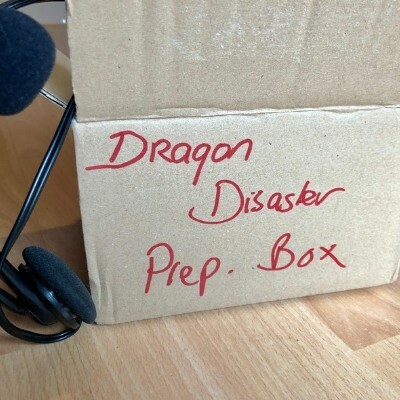 Put your spare microphone in a box that is clearly labelled as being your Dragon Disaster Preparedness Box and put it in a spot where you certainly will be looking should Dragon disaster strike. What is this Dragon Disaster Preparedness Box? The Dragon Disaster Preparedness Box is a collection of items that you will want to have available at all times. In the current blog post I discussed the spare microphone/headset that you want to have on hand in cases of emergency. But keep your eyes open for the next blog post. A broken microphone isn’t the only disaster that can disrupt your productivity with Dragon speech recognition. Next time I will discuss what other items must also be included in your Dragon Disaster Preparedness Box to make sure that your speech recognition service is not necessarily disrupted. Have you ever had a Dragon disaster? Was there ever a time when you were caught without a spare microphone? Or was it some other disaster that made you wish you had properly prepared for it? What do you think should also be in a Dragon Disaster Preparedness Box?